As well as the new additions to the festival, favourite events from previous years are also making an appearance, including the New Orleans Jazz Band Parade on Saturday 16th February, and performing for the closing night event on the same evening, raising money for ExVac, Exeter’s student charity. 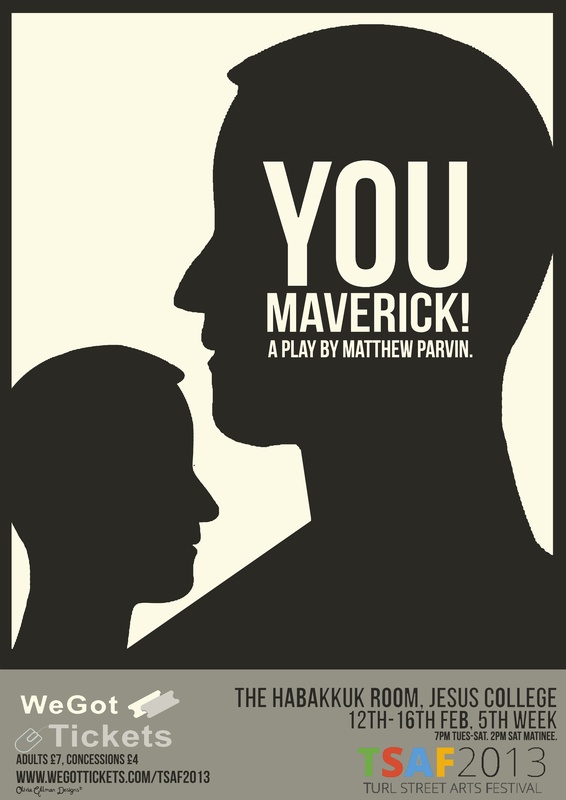 Matt Parvin’s play ‘You Maverick!’, running from the Tuesday 12th – Friday 15th February follows on the successes of his plays A Row of Parked Cars in 2011 which transferred to the Burton Taylor Studio after its successful run at TSAF, and The Players in 2012. The preview performance promises an engaging exploration of personal identity construction, focused upon the role that gender plays in this. Originally entitled The Writers – due to each character creating several different personas for themselves – the play opens with a disagreement over plagiarism, which soon reveals undercurrents of something altogether more sinister in addressing the play’s core themes of sexuality and identity, and the power of language. Charlie Hooper, Tim Drummond, and Charlie Metcalfe are thoroughly convincing as three individuals caught in a web of manipulation, insecurity, and power struggle. In the scenes released for preview, Tim Drummond as Kasper was particularly compelling, his powerful performance carrying through the occasional moment of jarring imagery in what was otherwise a fast-paced and thought-provoking script. 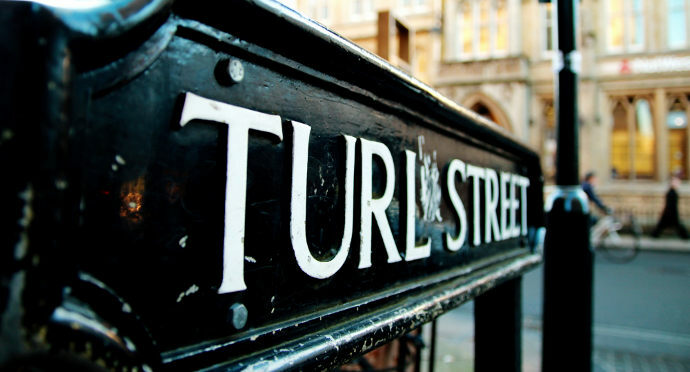 If live drama is not for you, then Sunday 10th sees the student-run organisation Hacked Off Films host the Oxford contribution to the Future Shorts Festival, the world’s largest pop-up film festival covering 90 countries across the globe. Not only are a wide range of films being shown including Candy Girl and Fishing Without Nets (Winner of the Grand Jury Prize at Sundance 2012) but the film screenings are combined with live music and comedy acts. These include sets by The Awkward Silence (described as ‘Wonderful and funny’ by Paul Foot and nominated for last year’s Writers’ Guild Awards) and Arthur Sawbridge, the multi-faceted programme showcasing the ethos of Hacked Off Films. ‘Hacked Off Films is a student-led nonprofit organisation that aims to make interacting with film exciting once again’, Owen tells me. ‘Watching film should be an event, an action that you feel emotionally tied to, and not something that you simply buy a ticket to, wait for the credits to roll and then leave. We’re interested in creating events that, either through immersive cinema where you have live aspects of the film before, during, and after a screening or through intimate showings of film and other arts…create an environment in which film becomes something you can connect to, and enjoy on far more than simply a superficial level.’ Whether your interests lie in film, drama, music, art, literature, or simply a love of good coffee, then this year’s festival will certainly provide an event worth exploring.